Here at LBTC we've been working hard on making use of the amount of space we have acquired since moving buildings. We want our customers to feel as comfortable as possible, so we've been brainstorming ideas of how we can improve our facilities. 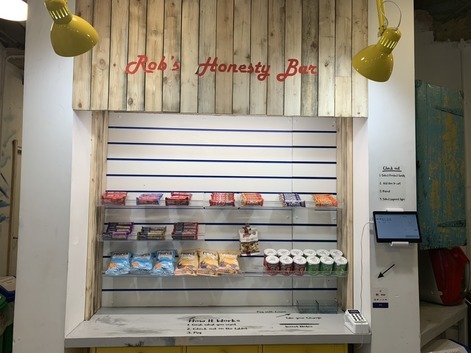 One of the steps we have taken is to open an honesty bar - an honesty bar is somewhere that sells goods, but is not attended by a cashier. Our bar will be packed full with goodies like snacks and cold drinks, and even hats and scarves for the cold London days. Simply grab what you like and check out on the tablet!